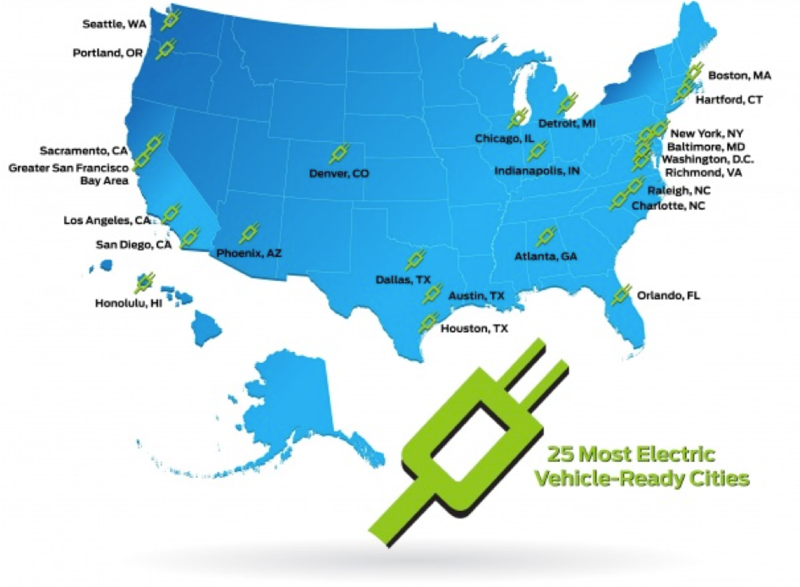 Other city- or region-wide programs that encourage EV use. As gas prices continue to spike, car manufacturers are finally offering alternatives. The Chevy Volt and the Nissan Leaf have been winning Car of the Year awards at all of the major auto shows this year, and more electric cars are coming, like the more moderately priced S Sedan from Tesla. It will be interesting to see how many car buyers -- and in what cities -- choose to drive them.